I am a positive and enthusiastic violinist and teacher and always develop a good rapport with my students. I have studied at Trinity Laban Conservatoire of Music and Dance where I received my BMus degree. My passion for music and teaching began from a young age and still continues to flourish. I continue performing as a freelance musician and a member of various string ensembles and orchestras, taking part in various projects and concerts. Playing with ensembles such as Prima Strings, Vox Vanguard, Light of Music, London City Philharmonic, WOW and others have taken me to perform in venues such as Cadogan Hall, Curve Theatre, Royal Albert Hall, Royal Festival Hall and others. I`ve been studying violin for almost 20 years, playing and teaching professionally for the last 7 years in London. I am currently teaching privately in London and Leicester and have experienced teaching all ages and abilities. I have also been involved in group lessons in various school workshops focusing on different ways of teaching and aiming to engage varying audiences. As a violinist I have a strong knowledge and strength as an instrumental teacher but from my training and experiences I have developed more refined pedagogical skills. I am currently teaching privately in and have experienced teaching all ages and abilities. I teach violin to students of all ages and abilities and strive to find individual teaching approach for each of my pupils for them to progress and meet their needs. 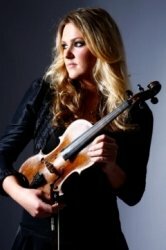 I have worked as a self-employed violin tutor for private tuition in London and Leicester. I have a track record of 100% pass rate of my students taking ABRSM examination with a high percentage of distinctions.I effectively design lesson plans and structure, I utilize my creative skills to establish an appropriate environment for physical, emotional and intellectual children requirements. I am an empathetic listener and a patient and supportive tutor and strive to get best out of my pupils. I can help students prepare for graded examinations, work on technical issues, individual goals and repertoire or simply teach for personal enjoyment.